Rove Hotels, a joint venture between leading UAE developers Meraas and Emaar Properties, has launched its new 564-key property within City Walk, the urban lifestyle destination developed by Meraas. Located next to Dubai Arena, the Rove City Walk will complement the hospitality offering at the urban liffestyle hub, said a statement from Meraas. A contemporary midscale hotel brand, Rove Hotels currently has five operational hotels in key locations in Dubai – Rove Downtown, Rove City Centre, Rove Healthcare City, Rove Trade Centre and Rove Dubai Marina. 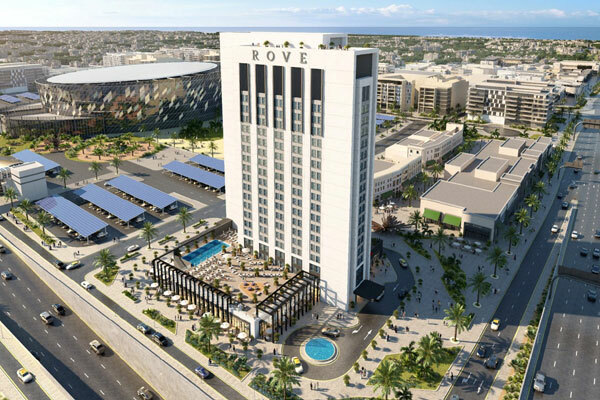 Rove Hotels has been designed for the new generation traveller who recognises value, stays connected through technology and gravitates towards culturally-inspired surroundings, said the statement. Several properties are being planned in Dubai and other locations in the UAE as well as in Saudi Arabia, it stated. A leading Dubai-based developer, Meraas said it was dedicated to making Dubai and the UAE better for people to live, work and play in. "Our investments ensure a better future for generations to come and stretch across different sectors including properties, food, retail, leisure, hospitality, technology, marinas and clinic" said a company spokesman.